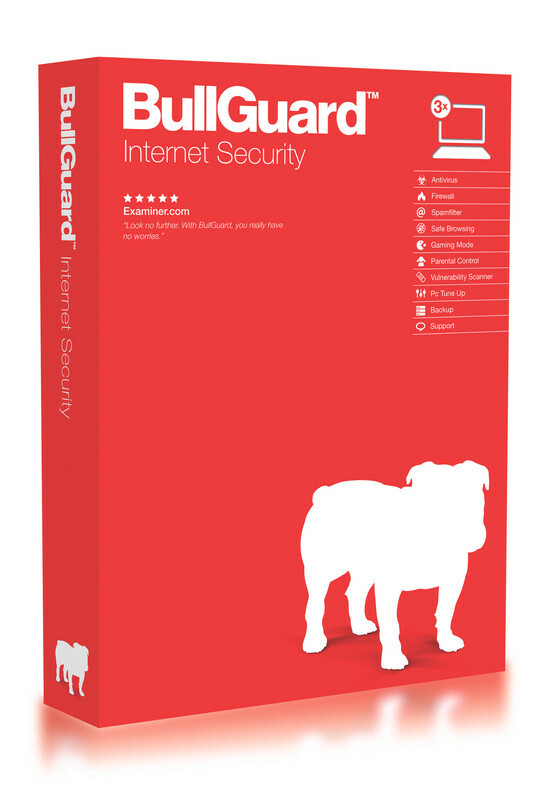 BullGuard Internet Security 2013 comes with the best security tools to offer you a complete solution against all online threats. Ease of installation and use: Installs in minutes. The all-new design and intuitive layout make it simple for you to run a quick scan, adjust protection levels, back up your files, customize your settings and more. Everything is just one click from the main BullGuard home screen. Antivirus: Our latest version of Antivirus includes Behavioural Detection, which spots new viruses by how they act on your computer. Together with Signature-based Detection, which deals with known malware, they make up a multi-layered defence system for your PC that’s virtually impenetrable. Firewall: Protect your computer from unwanted hackers and identity thieves. The Firewall protects you against network attacks and prevents cyber crooks from entering your system. Spamfilter: Don’t lose time sorting out annoying spam messages! Let BullGuard Spamfilter keep out junk mail and e-mail scams, like phishing attempts, virus spreading and foreign language spam. Safe Browsing: Explore the web with ease and confidence. BullGuard’s special feature checks all the sites that come up in your search results. It tells you what they are about, which are safe, and cautions you about the ones harbouring malicious code or phishing attempts. Parental Control: You can make sure your kids enjoy the web in full safety. With BullGuard’s Parental Control you can block their access to suspicious websites, limit their time on the internet and monitor their activity. This way you can prevent them from being cyberbullied and exposed to inappropriate content. PC Tune Up: BullGuard’s PC Tune Up removes unnecessary files to improve your computer’s performance. It frees up memory so your computer runs at top speed. Game Mode. No interruptions: Turn on Game Mode to play without alerts, updates and pop-up messages. Now you can just focus on winning. Vulnerability Scanner: The Vulnerability Scanner checks your computer for out-dated software that hackers and viruses can exploit to gain access to your system, damage it or steal your identity. Backup: We’ve included 5GB of FREE online storage so you can keep your important data, photos, music and more safe. You can choose what you want to back up and how often, or just set the feature to auto backup. You can even back up content directly from folders with one click. And here’s more: your backed-up data is easily accessible whenever you want to view it or restore it to another computer or even your phone. Free 24/7 Support: Our support team is here for you 24/7, providing expert advice and quick answers to your questions. The trial version of the software is available from the following link. One year, one PC license of BullGuard Internet Security 2013 with 5 Gb online backup costs 39.95 USD. You can also customize your purchase by using the following link. You can choose two or 3 years period for three or five PC and with online backup sizes of 10, 20, 50 or 100 Gb. According to your choice the cost will vary. Whatever be your cost, you can get 50% discount by using coupon code YJ4C76HJ. This offer will end within 3 days from the date of posting. So, hurry up! !